Precision agriculture is a relatively new concept. It was born in the USA at the beginning of the 80s, but its importance grows exponentially in recent years with the arrival of new technologies (sensors, GPS, drones …). Field and crops are dynamic and are constantly changing, therefore it is necessary to analyze and understand all those variations and particularities of the environment in order to be able to provide the exact inputs for crop optimization. The application of the most innovative technology, in all fields of agriculture, allows us to obtain the necessary information to understand the variations of soil and crops. To be able to understand the variability of the productivity of agricultural systems we must analyze two concepts: The spatial and temporal variability. The spatial heterogeneity is caused by different environmental factors, among which, is the soil (texture, depth, nitrogen content phosphorus and potassium), weeds, and diseases. In this case we can use nutrient analyzers like IMACIMUS to know the composition of the soil, the sap or the nutrients present in irrigation water. In contrast, the temporal variation is mainly related to differences in climatic conditions between years (hail, drought, rain, etc. ), as well as, to management and cultivation practices. Precision agriculture consists of four phases, the first is the acquisition of data, then the analysis of this data and decision making in relation to the information obtained. These actions can be both preventive (eg, anticipating pests and diseases) or management (eg knowing how much and when to irrigate with consequent savings) thanks to forecasts and measurements. The fourth phase is performance monitoring. The fact of evaluating the production, our actions and the final performance, allows us to correct course and know our successes. This is possible thanks to the continuous monitoring we have of the crop and thus measure the immediate and long-term effect of our actions. The ability to store information allows us to compare campaigns. 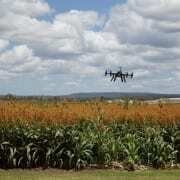 In short, precision agriculture implies a cyclical system of data collection and GIS (Geographic Information Systems) have a preponderant role in the integration, interpretation and analysis of the available information. The information collected through the new technologies allows us to evaluate with greater precision the optimum density of sowing. Through sensors we can estimate the appropriate amount of fertilizer or other necessary inputs, and more accurately predict the yield and crop production. With IMACIMUS it is going to be a simple and fast task. IMACIMUS is the fastest and most reliable nutrient analyzer on the market thanks to its formula based on nanotechnology patented by NT Sensors. Precision agriculture is fundamental to the sustainable development of the agriculture sector. With these new production systems, we will be able to guarantee a sufficient and sustainable agricultural production.